The temperatures are warming up, creating less need for heating and more need for cooling. 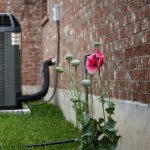 To ensure that your air conditioner is running safely and efficiently to increase your comfort and save money, follow these spring air conditioner maintenance tips. Cleaning or replacing your filter will save you money, extend the lifespan of your system, and improve airflow and indoor air quality. Your HVAC air filter should be checked every 30 days. Set a reminder on your phone to check your air filter on the first of every month so you don’t forget. It is also a good idea to write the date of replacement on the air filter itself, so you know exactly how long it has been since your last air filter change. If you can see light coming through your filter, it is still clean enough to use. If, on the other hand, you cannot see light passing through, it is time to change your filter. New filters cost very little but will save you a lot on your energy bills by reducing the amount of work your A/C must do. Clean filters will also dramatically improve the quality of your indoor air! Watch the video below to learn how to properly change your air filter. Since your furnace and air conditioner share the same indoor air handler, the instructions are the same. Learn reasons why your air filter may not be working. Close your blinds and drapes during the day to reduce the amount of direct heat gain from the sun. If the temperatures drop during the night, consider opening your windows to let the cool air in. Just remember to close the windows again when you wake up. Consider investing in “solar screens” and “solar films” to further reduce the amount of heat your home absorbs through windows and awnings. Seal air leaks around your home. Using windows and drapes to your advantage is important, but don’t forget about all of your home’s air leaks. The average home has cumulative air leakage that amounts to about a 3-by-3-foot hole in your home. 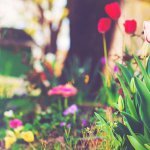 Plant shady trees around your home to give yourself more protection from the sun. Also, air conditioners work best when they are out of direct sunlight. 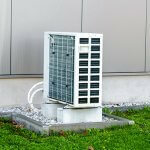 When choosing a location for your air conditioner unit, take shade into consideration. If you changed your fans to the winter setting, remember to change them back to the summer setting. Also, consider using fans to blow in the cool nighttime air instead of having your air conditioner running. Fans help to maintain a consistent and cool temperature, while improving your home’s ventilation and humidification. By delaying or reducing the need for air conditioning, you will definitely experience lower energy bills with your fans. The moving air makes you to feel more comfortable during higher temperatures, allowing you to turn up the thermostat on your air conditioner. Did you know for each degree that you raise the thermostat, you can save up to 3% on your cooling costs? 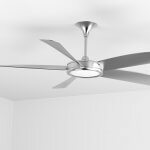 Meanwhile, a ceiling fan will only cost you about 2 cents for every hour… that’s only 48 cents a day! 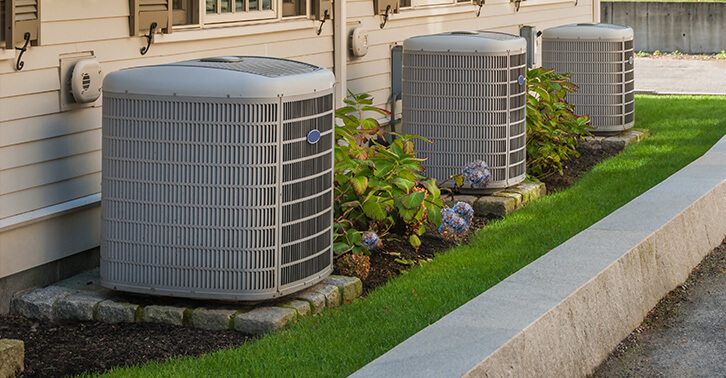 Probably the most important thing you can do as a homeowner to increase energy efficiency, lower utility bills, and extend the life of your air conditioning system is to schedule routine professional maintenance. Service Champions’ certified technicians do an all-systems check on your HVAC system, ensuring quality service throughout the cooling season. Some manufacturer warranties even require annual HVAC maintenance, so make sure to schedule your appointment with us before you forget! Enroll in our Maintenance Value Plan (MVP) for an annual electrical safety maintenance check, reductions in energy costs, and annual heating and cooling tune-ups for your HVAC system. Service Champions can handle all things HVAC related. That means all brands and all types of problems. We promise to come prepared and equipped to perform service the same day.